. يعمل فندق كوزواي إن أون ذا مول على ضمان إقامة مريحة لضيوفه من خلال خدماته الممتازة وحسن ضيافته. لضمان راحة ضيوفه، يقدم الفندق الخدمات التالية: واي فاي مجاني في جميع الغرف, خدمة التنظيف يوميًا, خدمة غسيل ذاتية, خدمة سيارات الأجرة, مجهز لذوي الإحتياجات الخاصة . في فندق كوزواي إن أون ذا مول غرف نوم يزيد عددها عن 82 صممت بذوق وعناية لتوفر لك كل وسائل الراحة . بعضها يحتوي أيضاً على تلفزيون بشاشة مسطحة, مرآة, مناشف, إغلاق, اتصال لاسلكي بالإنترنت. كما أن مجموعة الخدمات الواسعة الموجودة في الفندق لضمان راحتك تترك لك الكثير من الخيارات لقضاء وقتك أثناء فترة إقامتك. إن كنت تتطلع إلى إقامة مريحة وهادئة في المدينة، فستجد في فندق كوزواي إن أون ذا مول بيتك الثاني. يمكن للنزلاء المقيمين في مكان الإقامة الوصول إلى موقف السيارات المخفضة التي يوفرها مكان الإقامة مع موقف Wilson’s Galleria للسيارات في زاوية Little Collins و Elizabeth Streets وموقف سيارات Greenco في شارع 180 Russell. الحد المسموح به لارتفاع السيارات في مكان انتظار السيارات هو متران. لمعرفة الاتجاهات وساعات العمل والأسعار، يرجى الاتصال بمكان الإقامة مباشرة. Hotel location was great! 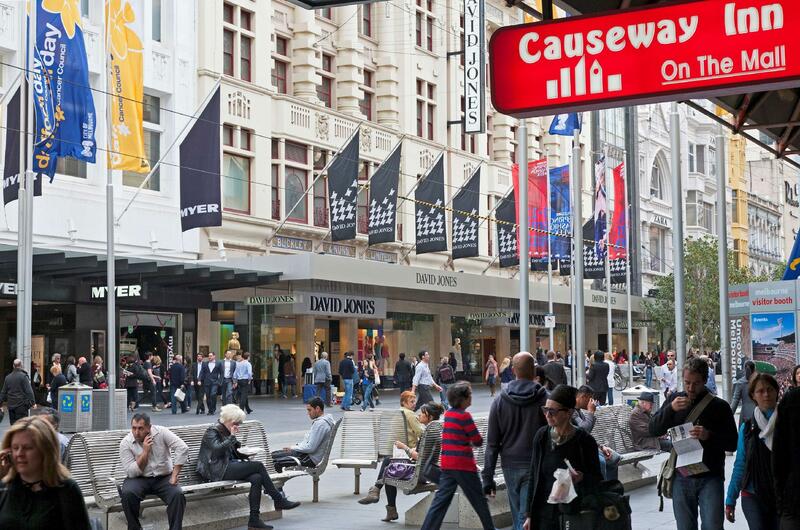 Walking distance to cafes, shops and Chinatown - made it easy to get around without having to worry about public transport unless we are going outside of the CBD. The room was a but small but that did not bother us as we were not there to stay in the hotel all day. The bathroom is a little dated, but overall the room was okay. It was clean and had the basic necessities/facilities. Staff were great, willing to help and were very friendly. Security was great as you will need a card to swipe for the lifts to work. This is great as the hotel is down a alleyway, so you do not know what type of people might go into the hotel and up to the floors where guests are staying. Staff were rude. Asked for large bed (subject to availability) - instead of saying it’s not available, they just didn’t notify us and put us in 2 singles. Pair of someone else’s shoes found under one of the beds - not clean! Air conditioning VERY minimal. location is superb.I stay in superior room and the room is still so small. the sofa bed is a small one. 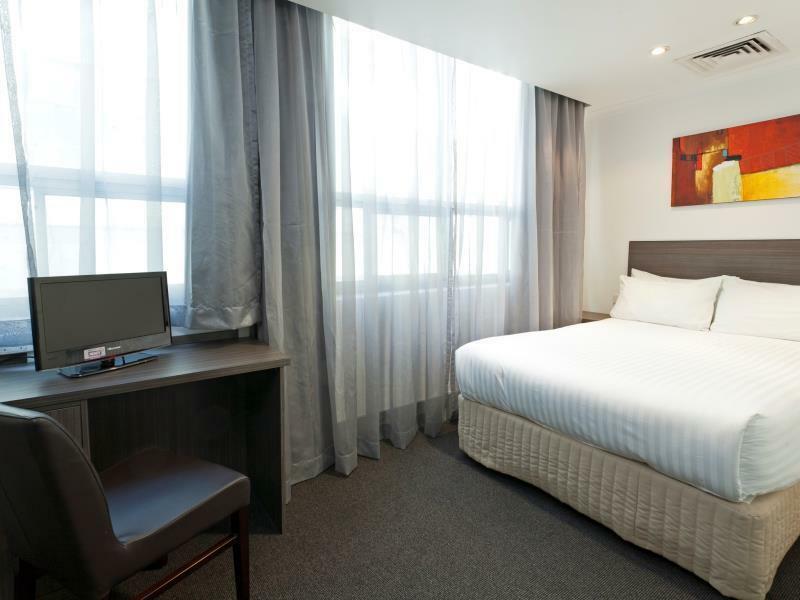 and the room is cold also.but for the location is very good.in front of the hotel is myer mall, just go inside and go straight you will find emporium melbourne and just go straight you will find melbourne central.for asian food just go to swanston street. free tram just infront off the hotel. I love the fact that it is adjacent to my favorite malls! Just ourside the hotel is the tram which leads you to anywhere in Melbourne! I am definitely going back to this hotel! It was an awesome vacation! The room was not large but enough room to move about in comfortably. The beds and pillows were very comfortable, I could make a cup of coffee in the room. 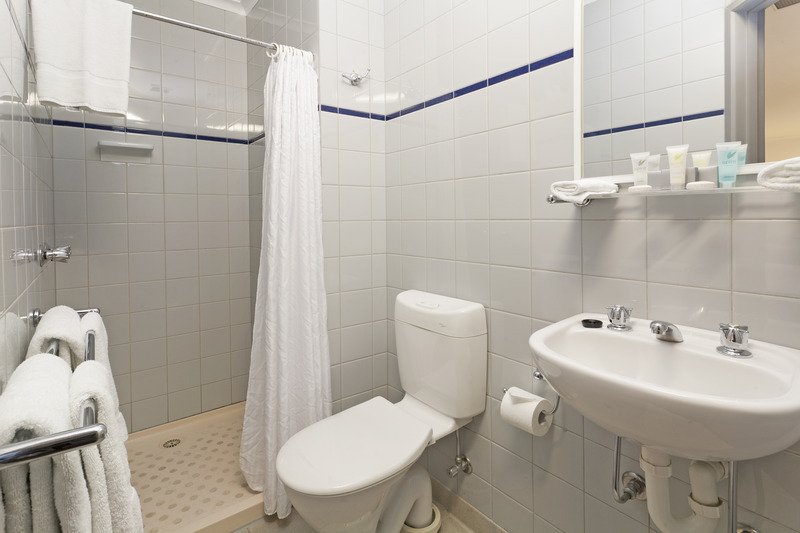 the bathroom was large enough to use easily and the location was great for getting around Melbourne as it was only a 1 minute walk to the tram stop. 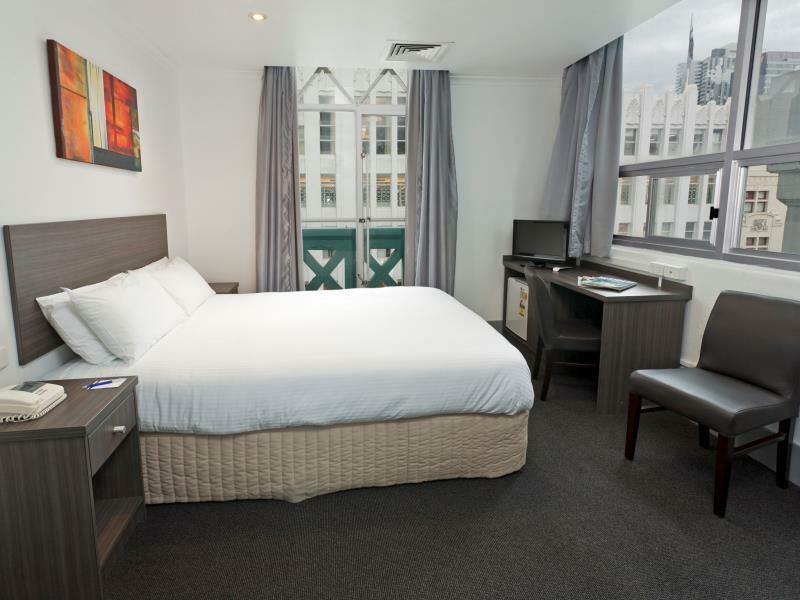 Causeway Inn on the Mall, is in my opinion, the absolutely best located hotel in Melbourne CBD. Just step outside the door and there are laneway cafes and coffee shops, a few more steps and you are on the Bourke St Mall. The staff are always helpful and efficient, rooms are clean and have all the necessities and the breakfast is good value if you choose to book it. Its the only place I stay whilst in Melbourne, mostly because of its location. Centrally located, however guest lift broke down. Not much help from staff with luggages. You can walk to the airport bus station, it's right on the mall downtown. Good budget place I would recommend. Stayed here because overseas family were staying there during their holiday. 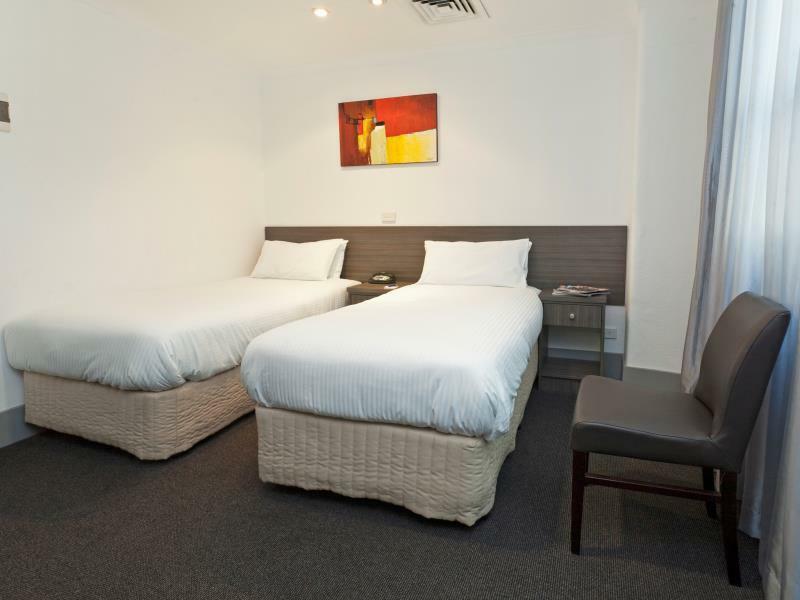 A lot more than I would normally pay for accommodation but It was in the cbd of Melbourne . Normally I’d give this hotel a high score for all categories but on this visit the lobby lift was out of order so you had to climb the stairs to level 2. This hotel is very convenient for us who just wants to have everything close by. Basically the room is not bigger as the picture, the elevator also a bit old and need to change. We have to go to 2nd floor then cross the breakfast area to changes the lift and get our room. I found an insect in the curtain and catch it then throw it to the toilet. The Toilet is very tiny, hardly for the giant size to taking a bath. 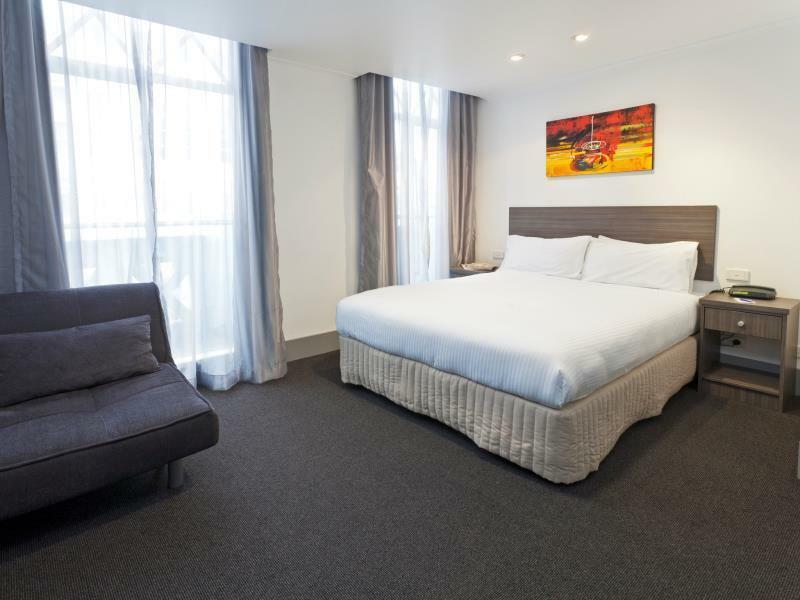 The best part for this hotel is because the location is very near to the shop lot and you can find, Myer shopping mall, H&M and a lot of shop within walking distance. Its good to stay for one or two night if you don't care about the room. Beside the location, the Staff also very friendly and helpful. Overall, it was a very good hotel for my family to stay one night. Never trust a hotel/ motel on listing without photos of the front of the building, like this hotel. Location is okay but not safe. There is a dark creepy lane way to pass through before you reach the door of the hotel. Overall, my stay experience it was disastrous, have to cancel the rest of my booking after the first night stay. The location is right in the middle of all the shops and restaurants. Facilities were good and amenities were fine, including free internet. We did not have the buffet breakfast on offer of fruit, cold selection, etc. but there is an abundance of places to eat just outside the hotel door. Staff were very helpful and pleasant. Would definitely recommend to other travellers. Perfect location on the Mall. Easy to hop on trams north, south, east or west and not far to Flinders Street. Leisurely stroll to Southbank .. Casino .. Arts precinct .. Federation Square, depending on your interests. Staff very helpful, particularly hopping the free zone tram 3 stops to Southern Cross for Skybus to airport. Breakfast is basic but suits the needs. Would definitely stay here again! Thank you. 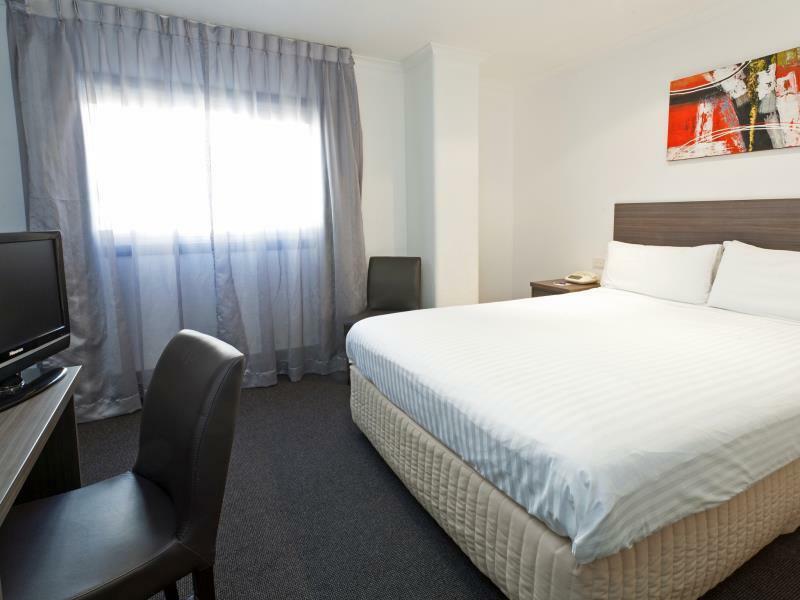 The hotel was very well placed, one minute's walk from Bourke Street Mall and close to many restaurants. The staff were friendly and helpful. A satisfactory continental breakfast was included in our room rate and tea and coffee facilities were available in the room. First time staying at Causeway Inn on the Mall but very pleased with our choice. Small rooms, but clean and comfortable. Staff friendly, especially the reception staff. Limited facilities but the location was just perfect. Step outside into the mall, walking distance to everything and all trams at our doorstep. We don't spend time in our room except to sleep, so the small room didn't affect our stay at all. Will definitely book again for a return trip.